Hi y'all! As promised, I'm here with a new video. If you've followed me on Instagram and Snapchat (@minniechang), you'll know what I'll blog about today. A bunch of my friends set up a beauty pop up bar called GIRLS GONE ROUGE at Jaya One mall earlier this month. Basically, they provide services to teach you how to apply makeup and skincare. Do check them out on their Instagram account @girlsgone.rouge. They also collaborated with an amazing online boutique called Bash Clothing, so check them out at @bashclothing_ on Instagram. Watch my Get Ready with Me video on YOUTUBE below to see how I prep myself for the event. oh and also, to watch how we got crazy on our way back home. Hi everyone! While you wait for my new videos to be uploaded (fingers crossed in another 3 days), I'll update y'all about this meaningful event that happened recently. 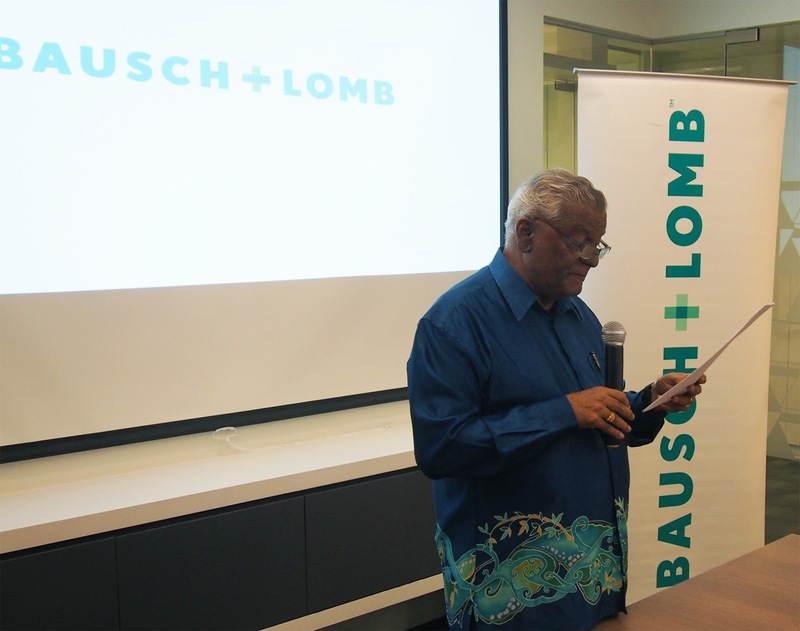 First and foremost, congratulation Bausch and Lomb for this successful and meaningful event. 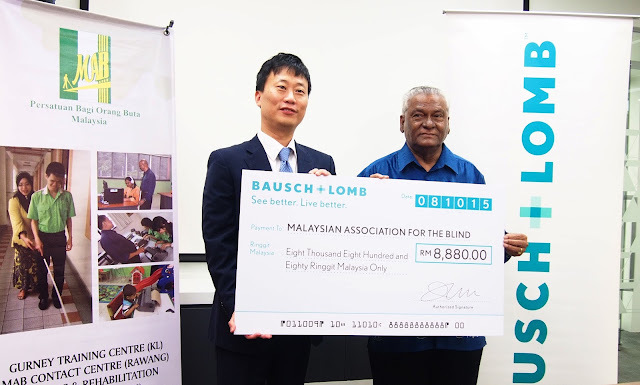 If you have read about my previous post with them, they are raising awareness in eye care which is so often neglected. Alongside, they are also raising fund for the Malaysian Association for the Blind (MAB) (click here). ok, if you forgot how was the video, here's a throwback for you. For each video posted up, they pledge to donate RM5 to MAB. Now, leave you screen for 2 minutes and do the eye exercise! Hi everyone! Welcome back to this cozy little space. I've been so grateful for all the opportunities given lately! and here is one of them. Thank you Wai Yan, founder of Evermore Flower for your lovely invitation to your amazing little pop up store launching event. I'm honored to be invited to witness your successful milestone! Congratulations! I shall not babble so much. Watch the video and you'll know what I'm hyping about. Stick till the end because I'll show you what I wore that day! Here's some picture from the launching event! That's it for this post! I had a great time knowing more about paper flowers and Evermore Flower. 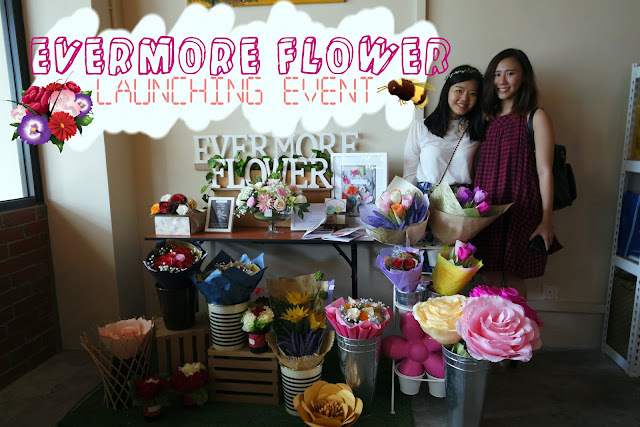 If you wish to know more about them, check out their Facebook and Instagram at EVERMORE FLOWER. They also have a Carousell listing if you wish to purchase some of their creation, click here! Happy October! Cheers to another busy month gone and coming. How's everyone doing? I just realize I went for 2 short trips in the past 2 months! Tho both mainly consist me eating loads of good food, but hey, how can you not? Manage to wrap up my Sekinchan trip travel vlogs yesterday night. & I am going to work on a few more exciting posts and videos. So much work and fun! I hope the place where you are is not too hazy. Please go get a few gulps of water before watching the videos.